Bandi David Prabhaker S/o Bandi Sangeetha Rao (Born on 29th July, 1969) from Hyderabad, Telangana, India. 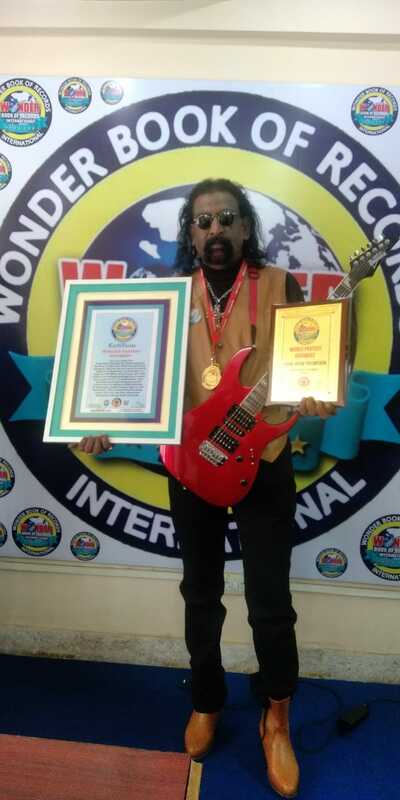 He has set a record by playing “Flight of the Bumblebee” in 28 seconds at a tempo of 1708 BPM in front of more than 1000 students and distinguished judge who is world’s fastest paintist Dr. T. S. Satish Kumar, audio recording sound engineering and protools software used for measure at SRM university AP Amaravathi, Andhra Pradesh, India on 16th March 2019. This is a marvellous and unique record.